another photo from girgaon. 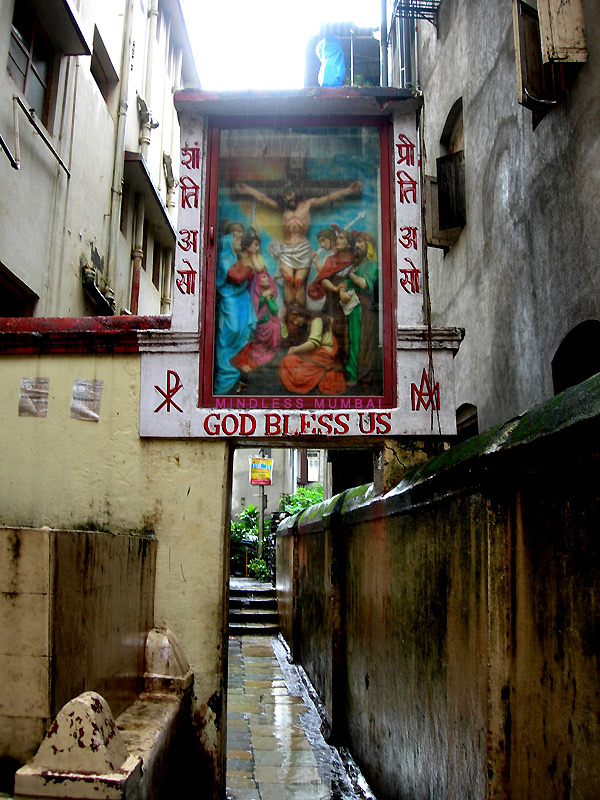 this two feet wide thoroughfare connects christian dominated dabul area to the parsi dominated nawrojee lane. comfortable for a single line of people to pass through at a time. best wishes for your vivas!! like your addition of 'mindless mumbai' in the picture! GOOD PHOTO. I'L CAME BACK.